Hat have started New Crowdfunding for 1/72 Nap. 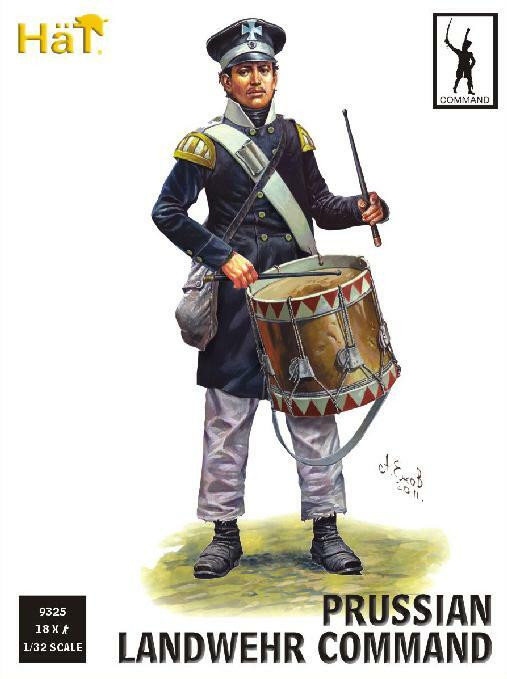 British Light and Heavy Dragoons figures as it not on the main page yet I thought it might be appropriate to bring it to peoples attention and start a new discussion on this page. What do you think will you help Crowdfund 1/72 Nap. 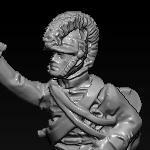 British Light and Heavy Dragoons? Said I would, if that was the option HaT went with, and I have. Well done HaT for cracking on and giving us the chance to participate. Now, as Saint Bob Geldorf once said, give HaT your [ ] money! Would be nice to see these in 1/72 after all these years. However, the small numbers that I would require on the basis of my usual Napoelonics scale (1 figure = 30 actual men) wouldn't be especially economic if crowd-funded ie: each box would work out to be fairly expensive, and I'd probably therefore go with a Plan B and convert from other sets.. In terms of shipping, is Canada part of the US/UK/EU group or is it part of the "rest of the world" group as I would have to enter the correct total cost of the soldiers ordered and shipping. It's rest of the world! Still not much talk or any Status updates about Hats latest Crowdfunding can you add the news to the main Hat page and also tell us what's happening regarding progress. Also there was a lot of people disappointed with this set being made in 28mm which has led to Hat making this the next Crowfunding project, I had the feeling they would be keen to get involved in the funding or at least in the discussion so far it's all a bit quiet. Yes, come on fellas, the crowd-funding progress bar for these sets is still blank. Assuming HaT is keeping the page reasonably up to date, that suggests that anyone wanting these sets needs to start flexing their plastic or this might not happen. 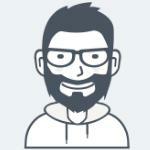 I think that crowdfunding may not progress fast until it is posted on the main page. A lot of people may check HaT site and do not see anything about this crowdfunding. It is burried deep inside the forum. To be honest I was hoping the next crowdfunder would be one that I could sit out on, Looks like it's not. I will be supporting this project, I'll buy enough to avoid the double postage but I'm not in a huge hurry so while there's nothing on the homepage or crowdfunding page I can tell myself it hasn't really got started yet. Also I've had to put a few other things through my paypal account recently so I need to check that all my rows are ducked first. The status bar on the Dragoons page has moved to 2 so it looks like it is happening. And it's worth noting that even with the shipping costs to Australia the price is about the same as i've paid in the shop for HaT cavalry sets previously, if I bought more they'd actually be cheaper. I think it would help to put a link to this crowdfunder on the homepage, crowdfunding page and the twitter page. Make it look a bit more official. To be quite frank, I could have done without the expenditure, especially as I am bracing myself for the release of 3 key French infantry sets, required in numbers, and which need to be purchased before they disappear, not to be restocked for 5 years! But, sometimes a Wargamer's got to do what a Wargamer's got to do! So, my question to HaT is whether, as an additional incentive, bonus figures could be offered to subscribers? 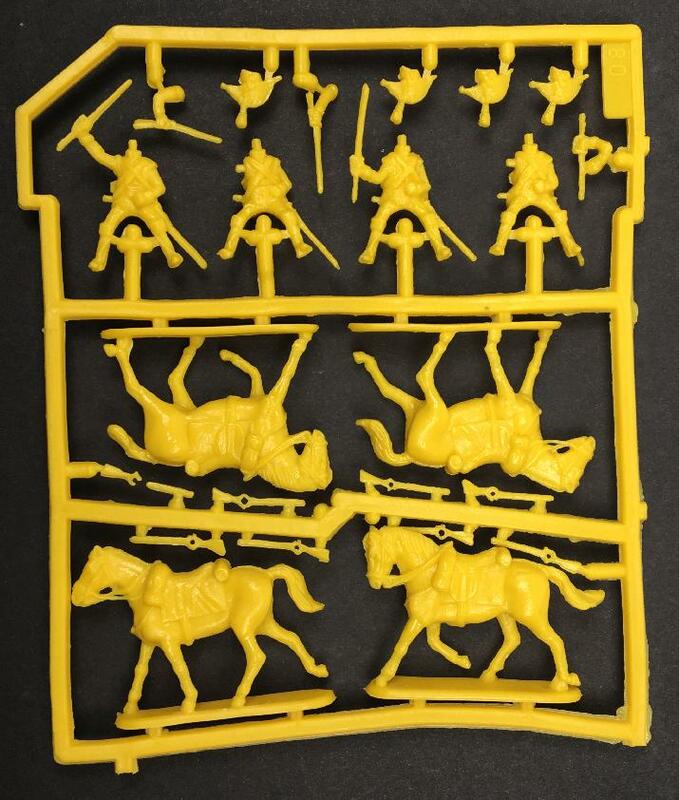 Could we, for instance, suggest two mounted figures that could complement these sets? May I suggest you spread the word, this site has been semi dormant for years, but has burst back to life of late, with a lot more life to come I wager , anyway maybe someone who is active on TMP AND Bennos can let them know what is going on and drum up further support, I will do my bit now by posting something on the unofficial Hat facebook page . Good luck guys I hope you make this happen. In for a penny in for a pound, posted on Bennos too. So just a few words of support please if needed. FYI the official crowd-funding link is on the main page since this morning. At last the British Dragoons Crowdfunding feels as if it's finally got going now that Hat have updated their main page and Crowdfunding page has reached stage 2. I now feel it's time I put my money where my mouth is so I'm delighted to have just ordered 10 boxes. May I suggest for bonus figures British mounted officers for Light and Heavy Dragoons. I note that bonus figures are intended ... but no call for suggestions as yet. Well done Alan, perhaps I will add a link to the crowdfunding page and some words of support to your post at Benno's. Some people there might be glad of the information and I guess that's what the "Miniatures News" section is there for. While we're on the subject, If anyone here is not aware of "Benno's Figures Forum" You're missing a real treat. It's a friendly and supportive place full of like minded people and covers all aspects of the hobby, in all scales (though there is an emphasis on 1/72), and from all manufacturers. There's plenty of helpful imformation when you need it, humourous comments and good natured banter and, best of all, always lots of wonderful pics from some very talented painters and modelers to drool over. Link below, see you there . 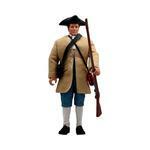 Just helped support this project, and may I suggest a Banastre Tarleton bonus figure? Though in this scale it probably won't matter lol I suspect a lot of people will use the Light cav for AWI..
After a slow start we are starting to see some progress now at stage 3 keep up the good work and keep spreading the word. One thing I have notice is how far this thread keeps slipping down the page with all the flurry of activity discussing new sets, future sets, polls etc. So please Hat Admin can you pin this thread to the top of the page thanks. Perhaps you can also use the bonus figures as an incentive. Progress is a little on the slow side still on stage 4 which was reached after 30 days, we are now on day 35 so I hope there is update coming soon, in comparison the Prussian Landwehr was at stage 6 after 12 days, 7 after 18 days, 8 after 46 days before slowing to a crawl to get over the line, I am not sure how the Zulu Crowdfunding progressed I think from memory it was a little slower than the Prussians to start but made steady progress and picked up a quite quickly at the finish. The British Light and Heavy Dragoons Crowdfunding sets are cheaper than the Prussian's and Zulu's I know they have fewer figures but also might be due to a more efficient process of making the figures lets hope this continues on future Crowdfundings and the Dollar has certainly dropped in value when I was buying the Prussian's last year the dollar was at an all time high. If you are still deciding whether to participate in the of Crowdfunding British Light and Heavy Dragoons or your considering increasing your order which is quite easy to do and will make each set a little cheaper now would be a good time to do it. Agree. If we sit on the fence expecting everyone else to fund this, it won't happen. To calculate the price of the figures is it the cumulative number of boxes (in my case probably 3 Heavy Dragoons and 4 Light Dragoons so a total of 7 which would be at 10.50$ a box plus postage 5.06$ so a total of 78.56$ or are the 2 sets treated separately so 38.06$ for the Heavy Dragoons and a further 49.06$ for the Light Dragoons, with each set at 11$ and paying postage twice?) The difference if combined and only paying postage once on the 7 sets is 8.56$. I've a got a question, too. Does the listed shipping cost includes tracking?